This is my monthly summary of my Debian related activities. If you’re among the people who made a donation to support my work (195 €, thanks everybody! ), then you can learn how I spent your money. Otherwise it’s just an interesting status update on my various projects. This is not free software but Dropbox is very popular and they did only provide an Ubuntu package that did not work on Debian. So I created an official package. I have been in touch with Dropbox developers and they have been very helpful. They’ll shortly release a signature mechanism (with GPG) so that we can further improve the package by verifying the origin of the downloaded binaries. At the start of the month, I continued my work on the britney reimplementation (the software that creates testing out of unstable) but I quickly stalled it because the release managers asked the feedback of Stefano Zacchiroli and Ralf Treinen (who have extensive knowledge on the topic with their research work on Mancoosi) and I did not want to invest further work in case they would identify a major flow… the feedback came only very late this month and while it was somewhat negative, I still think it’s worth pursuing the effort for a bit longer. While dpkg still doesn’t support multiarch (no news from Guillem and no visible sign of progress :-(), unstable got all the remaining bits allowing us to convert libraries to multiarch (see the announce). As soon as the required libc6 landed in unstable, I looked into converting the only library package that I maintain. I had no major problem but I still identified 2 issues in Lintian (filed as #630164 and quickly fixed by Niels Thykier). For the 42th time in the last 10 years, the idea of using build-arch/build-indep targets in the rules file has surfaced again. I had already decided some time ago that I would accept a patch implementing a new field Build-Features to enable dpkg-buildpackage to use those targets and this time Bill Allombert completed such a patch so I merged it. The technical committee also decided that it would take a final decision on this topic (see #629385). Roger Leigh provided useful input by doing an archive-wide rebuild with the various solutions suggested. Given that the majority would like to make the target mandatory at some point in the future, I provided the dpkg patch for my preferred solution. We would use “auto-detection” as a temporary measure until all packages have been converted to have the targets. Modified dpkg-source --after-build to automatically unapply patches if they have been applied by dpkg-source --before-build. Lots of small bug fixes (#628726, #629582, #630996, #631435, #631439, #631547, #632168) and that’s just to keep with the flow of incoming bug reports! Added 2 supplementary Perl modules to the supported API for the benefit of Lintian. Spent an evening to track down the possible causes of an long-standing and annoying assertion failure related to triggers. Updated my branch with improved triggers directives to take into account the feedback of Guillem, and merged it. While doing this I discovered a design flaw with the usage of “prerm failed-upgrade” and merged a fix. Discussed integration of dpkg-buildflags with debhelper in #544844 and decided of further improvements for dpkg-buildflags as a result. Hamster-applet is a GNOME application which did not have a 3.0 release, but it had a development release (2.91.x). I checked out whether it was possible to package this version for experimental and have the applet work with the GNOME fallback mode. Apparently not, the code was not yet updated to be compatible with the newer panel. Instead I uploaded the latest stable version (2.32.1) to unstable. It has some nice improvements in the standalone version (and the name of the executable changed). For usage with GNOME 3, I have created a custom shortcut to start it quickly (with gconf-editor set /apps/metacity/global_keybindings/run_command_1 to “<Mod4>t” and /apps/metacity/keybinding_commands/command_1 to “hamster-time-tracker” because the GNOME 3 control panel does not seem to work to set custom keybindings currently). While I’m grateful for all the people who are supporting my work, I’m still far from my goal to have one third of my time funded through donations and sales of products on this blog. So I decided to also bring more visibility to my company and in particular to its Debian-related service offering. It was only available in French up to now so I translated it and expanded it a bit. My “support page” on this blog now also links to my company’s website. BTW, I have discounted prices for individuals and non-profits who would like to benefit from my help to create Debian packages. This is the title of the upcoming translation of my book. The project now has a dedicated website: debian-handbook.info. 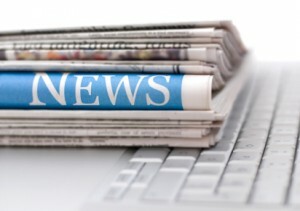 You can subscribe to its RSS feed to keep up with the latest news. The full table of contents is online along with a FAQ. I’m actively looking for partners to help me promote the fundraising once it goes live. 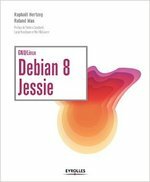 If you can reach a large set of readers interested by a good Debian book, get in touch with me to join the affiliate program.